When patients step into our dental office, the first sound they usually hear is laughter. We like to keep things fun and light around the office so no one ever has to dread coming to see us! Our team of hygienists, assistants, and administrators will help you enjoy the smoothest, most stress free dental experience of your life from check-in to checkout, and you won’t believe how easy it can be to take care of your family’s smiles. To start getting to know the friendly faces here at Smile by Design, read on below! 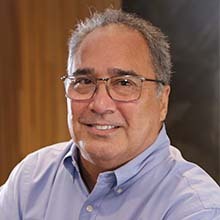 David Santos was born in Leigh Memorial Hospital in Norfolk, VA, and lived most of his life in Hampton Roads. He traveled quite a bit with his family, as his father was in the Navy for thirty years. David worked in psychology and counseling for more than two decades and also worked in computer graphics and printing for 13 years. About four years ago, he turned his attention to the dental practice of his wife, Dr. Stephanie Santos, and now runs the non-clinical side of Smile by Design. David helps with all areas of the practice without getting in the way too much. If there are problems with insurance, computers, or anything else the team doesn’t want to deal with, David gets the task. David received Bachelor of Science degrees in Psychology (Major) and Criminal Justice (Minor) from Old Dominion University in 1983. He admits that he has too many post-graduate credit hours to count in psych, counseling, computer technology, and programming. He should have finished his Master’s degree, but he was too focused on not knowing what to focus on. David shares the same hobbies as his wife and says they’re pretty much the same, except for their taste in music, books, and television shows, driving ability, his ability to lift more than she can, and his ability to season their Cornish hens better. He loves their dog, Billy, and while he thinks four cats are way too many, he loves them all: Boo Boo, Akasha, Buttons, and “Fat” Oscar. Pamela is originally from Roanoke, VA and loves being part of the dental field where she can serve the needs of her community. She’s been in dentistry for more than 30 years, and she started at Smile by Design in 2005. Pamela has certificates in ministry studies, dental X-rays, CPR, OSHA, HIPPA, and she graduated valedictorian from Wave Leadership College (night program). At Smile by Design, she takes care of greeting patients, scheduling appointments, answering phones, collecting payments, and helping the team wherever needed. She enjoys working for Dr. Santos and Dr. Folck because everyone gets along, the practice has a family feel, and even the patients feel like they can have fun and joke around. Pamela enjoys her job as the receptionist because she loves people and social events. Being at the front desk is perfect for her because she likes being the life of the party! Pamela enjoys volunteering at her church, traveling, photography, reading, and being a Mary Kay make-up consultant. 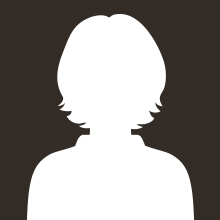 Teresa was born and raised in Virginia Beach, Virginia and has a Bachelor of Science. 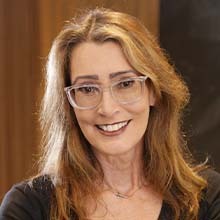 She takes more than 15 hours of continuing education every year and has been in the dentistry field for nearly 30 years. She started at Smile by Design in 2008 and enjoys the easy, low stress environment. She loves the patients, the team, and the job! Teresa has been married for 33 years and has two adult children. Genedee promotes dental health by professionally cleaning teeth, providing radiographic studies, charting periodontal disease, and performing procedures in compliance with the dental practice’s focus on excellence. She attended Old Dominion University and graduated with a Bachelor of Science in Dental Hygiene. 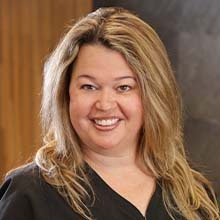 Genedee has been in dentistry for more than 16 years and has been part of the Smile by Design team since 2008. Genedee loves working for a wonderful boss and sharing laughs with both her co-workers and patients. She strives to provide the highest standard of care for all her patients. 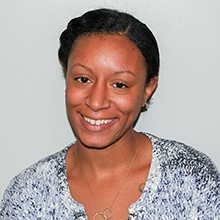 Genedee has lived most of her life in Virginia Beach but currently resides in Chesapeake. In 2003, she married her husband, James, and they have a sweet five-year-old boy, Gavin. 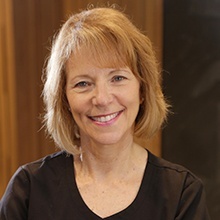 Lynn has over 40 years of experience in dentistry, so you can believe her when she says the best thing about working at Smile by Design is the quality of dentistry our team provides -- and the tender loving care that comes with it. Originally from Portsmouth, VA, Lynn attended Old Dominion University. She is married and has three adult sons. Outside of dentistry, Lynn is a potter and a proud “Nan.” And you might not expect it, but she was also a Boy Scout for two decades! Julia has been working in the dental field for six years and counting so far. Originally from Boston, she studied at Regis College and Quinsigamond Community College and is qualified to administer local anesthesia. She loves working with patients and inspiring new reasons for them to smile brighter through her work! At home, she’s proud to come from a fun, loving, and very LOUD family. Her personal hobbies include playing soccer, participating in her book club, and going to concerts. She’s also a big traveler and has been to 29 states so far in the US! 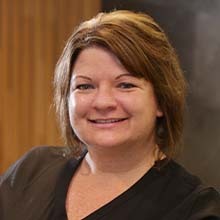 Lisa has worked as a dental assistant since 1997 and joined Smile by Design in 2000. She is both CPR and CEREC certified. She ensures that her patients are well taken care of from the beginning of their appointment until the end. Lisa is fun, energetic, and compassionate—all qualities that serve her well in her role at Smile by Design. 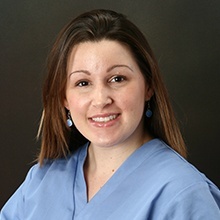 She loves the dental team, as well as working for doctors who care deeply about the needs of each and every patient. Lisa is married with two boys and loves to travel with her family. Part of the Smile by Design team since 2008, Amanda is a certified dental assistant with more than 15 years of experience in the field. 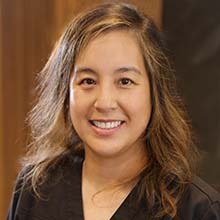 She is a graduate of the Academy of Dental Technology and takes continuing education courses to stay up-to-date on the latest dental techniques and products. She embraces the practice’s goal to provide anxiety-free and extremely comfortable care. In fact, most patients comment on how relaxed they feel at the completion of their treatments. Amanda loves her job and the people she works with, and that kind of true enjoyment reflects in all of her tasks. Away from the office, Amanda enjoys spending time with her fiancé, two wonderful nieces, her dog named Tyson, riding her motorcycle, and maintaining her home. Ashli first joined our practice a year ago, and she has two years of overall experience in the dental world. She received her education from Fortis College. Her favorite part of her job is helping patients feel comfortable and relaxed in the treatment chair. As long as she does her best to be confident, articulate, and relaxed, the people she sees will feel that way too! Originally from Chesapeake, VA, Ashli has a loving, caring, and fun family. Her hobbies include shopping, spending time with her niece and nephew, and relaxing on the beach. She also loves journaling and collecting all things stationery! 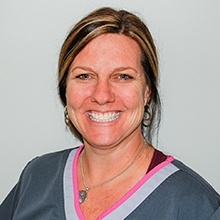 Renee’s career in the dental field impressively spans over two decades so far, with time spent both as an assistant and manning the front desk. She’s very passionate about helping patients achieve healthier mouths and pretty smiles! She earned her education from Concord Career Institute. Renee is originally from Memphis and has been married for 20 years with four kids. When she’s not busy at work, she enjoys baseball, walking, decorating her home (she is a BIG decorator), and simply hanging out with her loved ones. Brandi has been with our practice since 2016, and she’s a bit of a jack-of-all-trades around the office. She’s able to work both at the front desk and chairside with our dentists, plus she can help our patients better understand their insurance benefits and get the most out of their coverage. 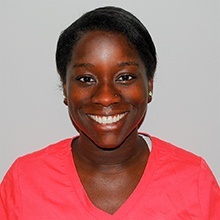 She is a graduate of Wave County High School and the Concorde Institute, and she currently has certifications in dental radiology, CPR, first-aid, and as an EDA. Originally from Waycross, GA, you’ll usually find her cooking something delicious when she’s at home. Be sure to ask her about any new recipes! An interesting fact about her: she has a twin brother. Sarah has been assisting the doctors at Smile by Design since 2010. She has six years of experience and attends continuing education courses. 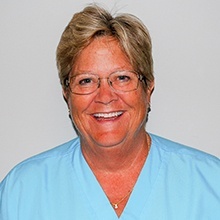 She loves the environment and the staff at the Virginia Beach dental practice and strives to perform her tasks as quickly and efficiently as possible. She’s a hard worker and thoroughly enjoys her job. Sarah’s hobbies include listening to music, dancing, networking, and spending time with her son.